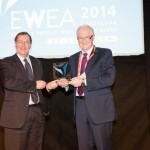 The wind energy industry’s prestigious Poul la Cour prize was awarded this afternoon to Airtricity and Mainstream Renewable Power founder Eddie O’Connor. 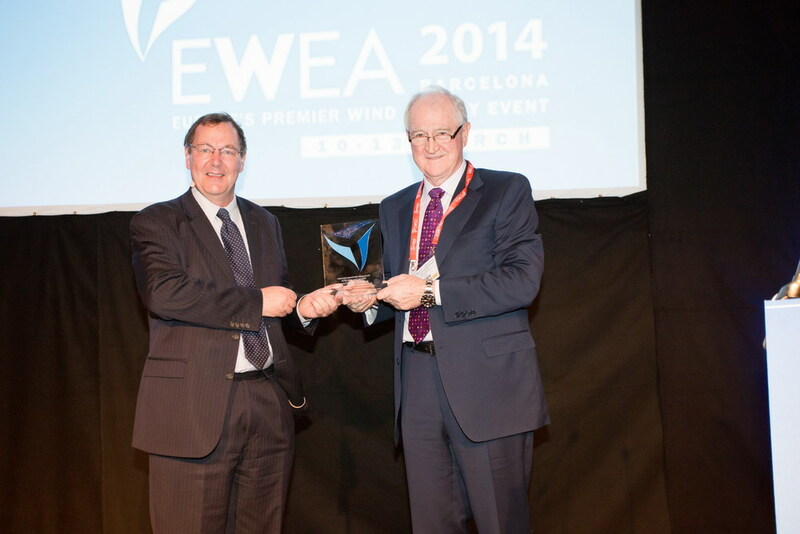 “This year, the award goes to someone who is a very rare breed: both a visionary and a businessman”, commented the president of the European Wind Energy Association (EWEA) Andrew Garrad, presenting the award in Barcelona at the EWEA 2014 Annual Event. O’Connor co-founded Irish wind farm development company Airtricity in 1997 – at a time when wind energy was a minor player in the energy mix – and acted as chief executive until he sold the company for around €2 billion to E.ON and Scottish & Southern Energy in 2008. He went on to set up Mainstream Renewable Power, now six years old, which has 180 staff and offices around the world, and was until 2013 a member of the supervisory board of EWEA.